134 Chadwick is a rare opportunity to own a marshfront home with private dock in one of Charleston's most established areas. This lovely property is conveniently located in Windermere and walkable to numerous restaurants, shops and Earthfare grocery store. 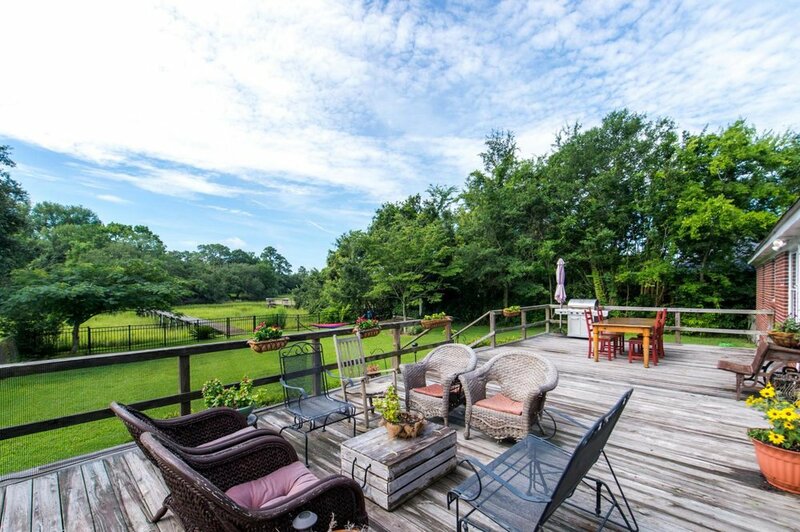 Enjoy sweeping marsh views while relaxing on the large backyard deck. You will love the large, private backyard leading you to the private dock where you can spend the day fishing, crabbing or launching a kayak to explore Wappoo Creek. Hardwood floors throughout most of the living space, granite countertops in the kitchen, true wood paneling in the quaint study, and exposed brick in the sunroom are just a few elements that make this home truly special. This comfortable property includes a Highly efficient split system HVAC installed in 2016, saving the owner energy costs for many months to come. At 134 Chadwick, you will be able to enjoy all the beauty of a low-country marsh-front setting, all while being located within 5-10 minutes of Charleston beaches, downtown, hospitals and everything else Charleston has to offer. Line up your showing Today!! 60 Poplar Street is easily one of most beautiful and grand homes in downtown's ''Upper Peninsula'' area. Built in 1918, this well curated home embodies the ''American Foursquare Style'' beautifully. 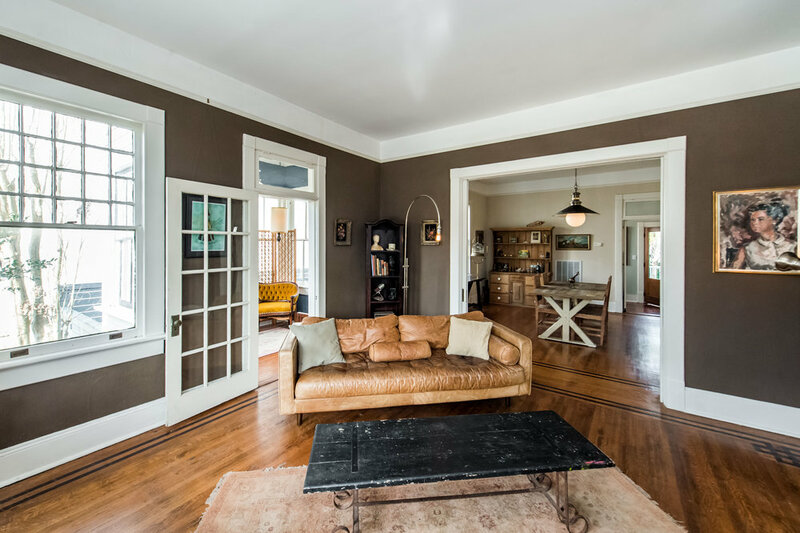 Original elements and details of this home include 11'+ ceilings on both floors, original hardwood flooring with tongue and groove inlay in living and dining areas, beautiful large original windows, Victorian stained glass window and a lovely tile mosaic make this property truly special. Home has been lovingly renovated and updated by it's current owner. Rennai Tankless h20 Heater, Updated HVAC, updated metal roof etc. This amazing home sits proud on a large lot, with large garage and private backyard. 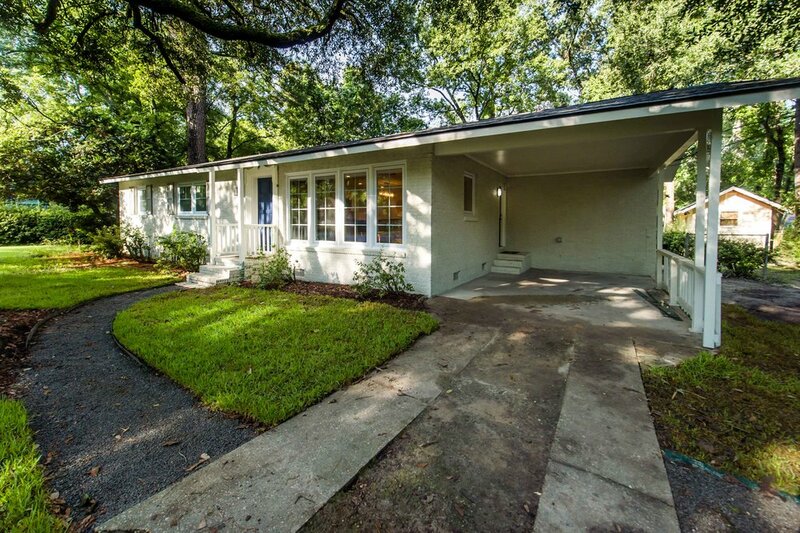 You will love this amazing renovation in Wagener Terrace. This high-end townhome is located on a quiet corner lot, steps from Corrine Jones Playground/Tennis Courts and just across the street from the Ashley River. 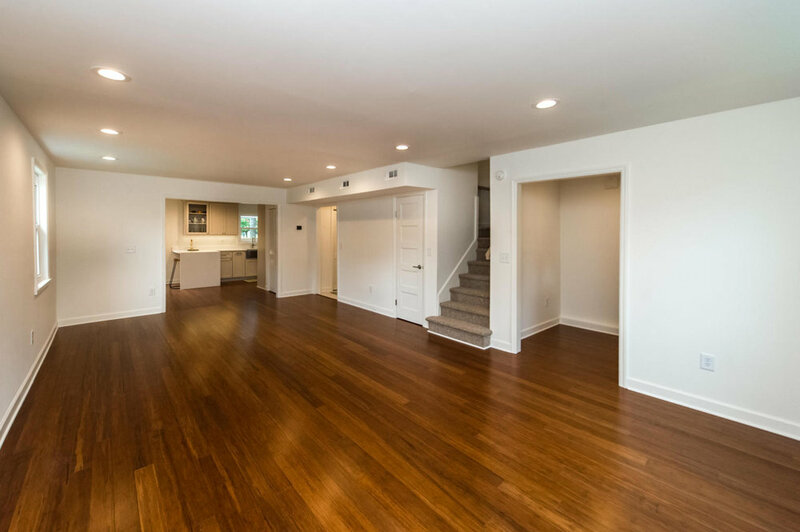 Beautifully renovated with an open floor-plan including wood floors throughout the main living area. Quartz countertops(including waterfall edge), custom cabinets and new stainless steel appliances give the kitchen a bright and modern feel. Upstairs are 3 bedrooms, including a large master ensuite with large modern bathroom, frameless shower and walkin closet. 3 Murray Hill Drive is a completely rebuilt, custom-construction brick home on a convenient but quiet cul-de-sac. The crawlspace-to-roof renovation saw every interior wall removed and the whole home rebuilt with a modern, open layout and high-end finishes. Completely reconfigured, large windows illuminate the wide open living room, dining room, and kitchen in a perfect space for enjoying family and entertaining. The kitchen features a giant island with bar seating for four, solid-wood cabinets, quartz counters, tile backsplash, ample counter and cabinet space, and a gas range. The enlarged master suite contains a spacious walk-in closet and luxurious master bathroom, featuring a zero-entry curbless shower; frameless glass enclosure; marble ledge; shower panel with body jets,rainfall head and hand wand; marble galore. The systems are all brand new: all new HVAC package unit and all new ductwork; brand new Anderson windows; new 3/4'' solid oak hardwood flooring throughout the house; totally new wiring and breaker panel; new, efficient Rinnai gas tankless water heater, and new supply and waste lines; new Zip System sheathing roof and 50 year shingles; new fiberglass French doors leading to the backyard; new solid-core shaker style interior doors; new custom trim and crown molding; large, tiled laundry room with upper cabinet storage; and a newly-screened large porch. There are large closets in the bedrooms and built-in storage throughout. Finally, a grand live oak greets you in the front yard while the deep, fenced backyard contains a huge workshop with electricity, water, sewer, and a new roof. Every detail of this home has been rebuilt with high-end materials and finishes.